This is not the first time that Kriti has penned a poem. 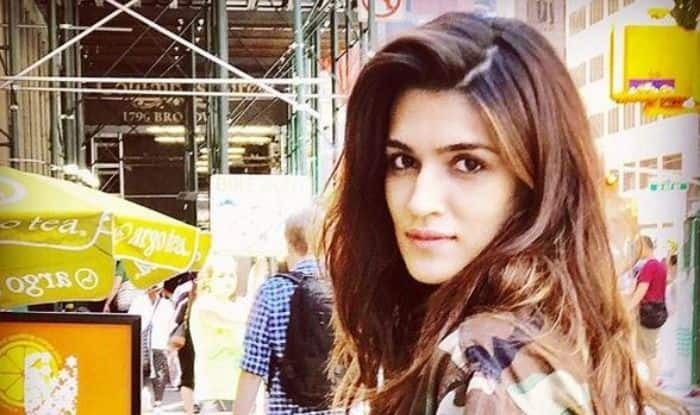 Bollywood actress Kriti Sanon is pretty well known as a movie star, but there is a side to her which has come to the surface recently. She made her Hindi film debut in 2014 with Sabbir Khan’s action film Heropanti, and she won the Filmfare Award for Best Female Debut for it. Now apart from her acting, it appears she is very eloquent as a poet too. Kriti recently shared a post on her Instagram page titled, Uncomplicate, and it seems to talk about how we should live our lives to the fullest by being our real selves with childhood innocence and purity, and how we should release the fears that hold us back and pull us down. It concluded with questions on interpreting our emotions, and on the heart ruling instead of the brain in order to ‘uncomplicate’ humanity. Check the poem out. But this is not the first time that she has penned a poem, as earlier she had shared a post in which she can be seen standing by the ocean with the sun in her palm. The beautifully written poem speaks of her love for the wind, the sun and the beach. On the work front, Kriti has been very busy with her next movie, Luka Chuppi, set to release on March 1, 2019. The romantic comedy film has been directed by Laxman Utekar, and it also stars Kartik Aaryan. The story is about a television reporter in Mathura who falls in love with a headstrong woman. She will also be a part of movie Kalank, a period drama film which is scheduled to be released on April 19, 2019. Her other ventures for this year are Arjun Patiala, Housefull 4 and Panipat.